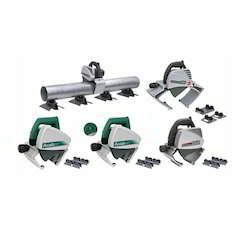 We are offering a wide range of Pipe Circular Saws. Our Circular Sawing Machines are available in various sizes and specifications. 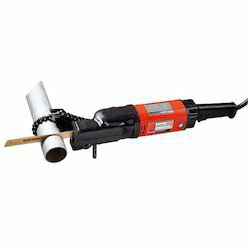 These Pipe Circular Saws can be customized as per our customers specifications and availed at industrial leading price. Hand Held Pipe Circular Saws have unique designs, light weight, electronic speed control which maintains constant speed under load for smooth cutting blade speed control helps extend the life of the blade especially for stainless steel pipe cutting. They are used to cut steel pipes, copper pipes, C.I, D.I pipes, stainless steel pipe and plastic pipes. Beaver Band Saws are faster than other available machines in the market, easy correction of oblique cut, contour function, precision cutting fitted with a Flat Vise for precision cutting from straight cuts to angle cuts up to 45°. The quick cramp system handle secures quick and high power bundling. 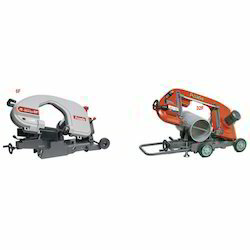 With our rich experience, we bring forth our clients a range of Pipe Circular Saws at highly affordable prices. The range is manufactured by assiduous, diligent and dexterous employees, who attain vast experience in their domain. In order to attain the satisfaction of the clients, we customize our range depending on the specifications made by them.